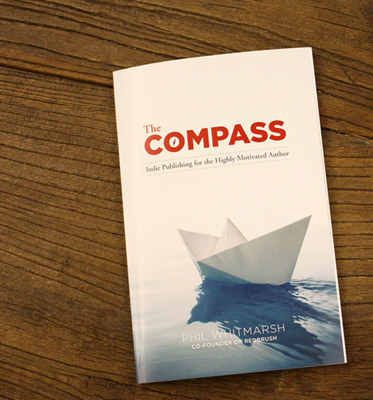 We're excited to announce that The Compass is now available in hard copy! Phil Whitmarsh, our chief navigator, said seeing his work in print was a feeling unlike any other. "I've written a dozen (unproduced) film scripts and didn't expect to feel such a rush holding that first printed copy of The Compass. I felt exactly the exhilaration I've been telling authors to anticipate for years. It really was a moment of great pride and accomplishment." Have you been dreaming about feeling that just-published rush? Call us today at 855.379.6218 to get started.